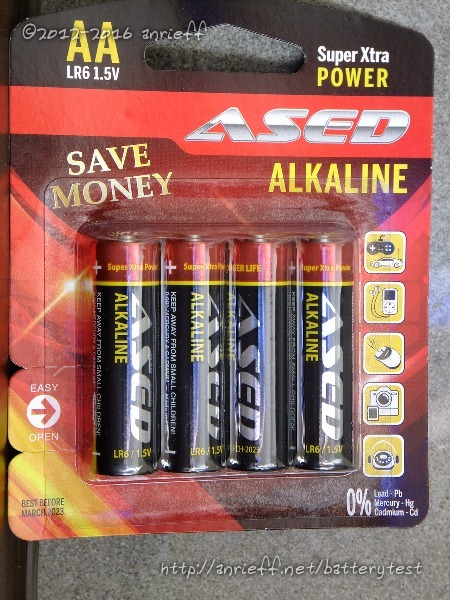 These cells were donated for testing by the owner of the company of the same name that markets and sells them - Asen Simeonov, representing ASED Ltd. You can also take a look at their AAA counterparts. The cells are made and packaged by a contractor in China, which toots them as high capacity, so I went to check whether this is true. The pack measured 6.33 volts initially, increasing to 6.36 after the heating phase (which is a bit odd, as the heating usually reduces the voltage slightly). 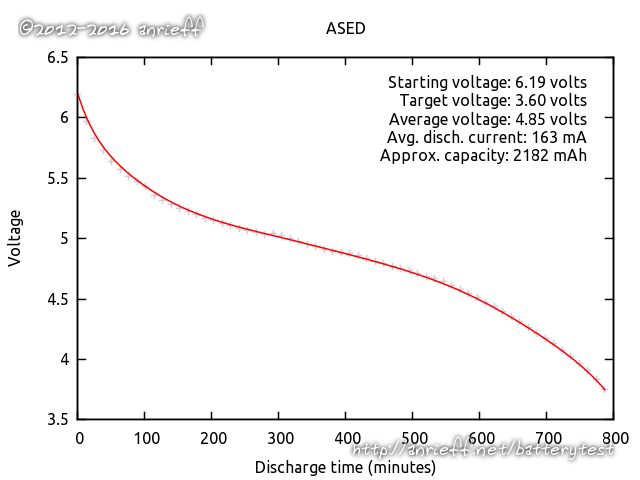 An uneventful discharge cycle followed next, on which the cells clocked 2180 mAh. 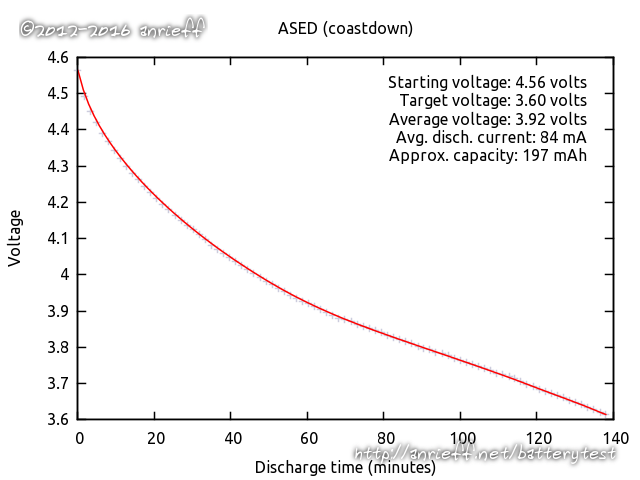 After a few hours break, the coastdown discharge showed 197 mAh. It seems that the claims of the contractor correspond well with the truth.